“We know what we are getting. 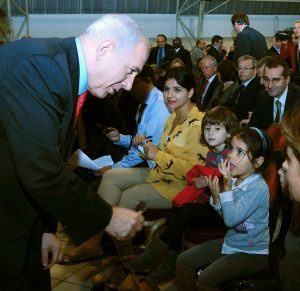 He might not be perfect – but who is?” Young Israelis trust their Prime Minister Netanyahu – despite his shortcomings…. Jerusalem – we humans are creatures of habit. We tend to be wary of the unknown. And embarking on something new requires courage, strength and faith. When it comes to trying a new café or experimenting with an unfamiliar recipe, we’ll take that risk every now and then. The decision to end a relationship, though, requires a great deal more thought. And when it comes to electing a new prime minister, the plunge into the unknown is even more daunting. But this is precisely the problem Israel will soon find itself confronted with. Elections are slated for November 2019 – but may well be called even earlier. 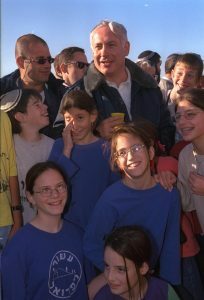 The unknown is something that is especially feared by the “Bibi generation” – those Israelis who have little or no memory of any political leader before Benjamin Netanyahu, who was first elected Prime Minister in 1996, nine years before German Chancellor Angela Merkel arrived on the scene. Such sentiments are common in the Jewish state, which lives under a permanent state of threat. Netanyahu is known for staking out bold positions, particularly in the area of foreign policy. Israel is now the strongest and most secure country in the Middle East, which is also a testament to Netanyahu’s leadership. Despite some domestic political difficulties, Israel is in a solid position. It boasts one of the world’s most vibrant start-up scenes. Bibi is a canny politician – he is charming but also willing to demonstrate strength and to protect Israel. With some interruptions, he has served his country for more than twenty years. So why should Israel risk a leap into the unknown – one which might even end in disaster? Anna Avezova is a 36-year-old who made aliyah from her native Germany five years ago. She also supports the reigning Prime Minister: “I can’t imagine anyone else in office. He knows how to lead this very complex country. That alone would be quite a lot to live up to. And as far as his scandals are concerned: who is completely free of scandal? Everyone has something to hide.” But the question remains – does the Bibi generation truly back the nearly 70-year-old charismatic statesman or do they simply see no viable alternative? But perhaps there’s a simpler explanation: people can get used to almost anything. We grow familiar with the nooks and crannies of our homes, to the point where we can find our way into the kitchen, in the dark, half asleep. We grow used to our partner’s quirks and eccentricities and accept them, because the good outweighs the bad. Or perhaps because we are simply too lazy or fearful to leave and look for someone new. A leap into the unknown is a daunting and draining task. In the end, we may well find ourselves left with nothing but regrets and the wish that we could turn back the clock. And who among us doesn’t have all sorts of other things to worry about? So we stick with what we know. We choose Bibi, so at least we know what we’re getting. He might not be perfect – but who is?